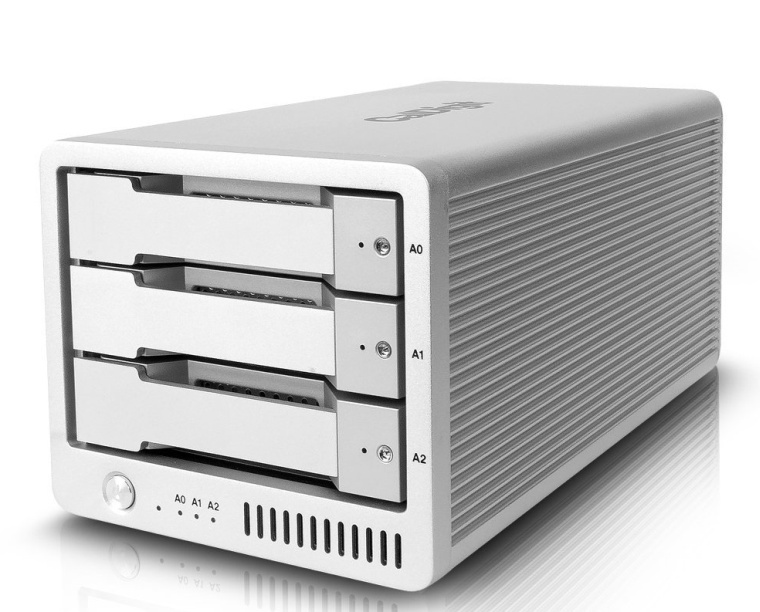 While priced similarly to dual bay RAID solutions, the extra drive in the T3 adds additional performance with a minimal footprint increase. For applications that require high performance drives, the T3 configured in RAID 0 can deliver up to 550 MB/s when configured with HDDs or 850 MB/s with SSDs. The T3 will do everything a dual drive RAID can and more.